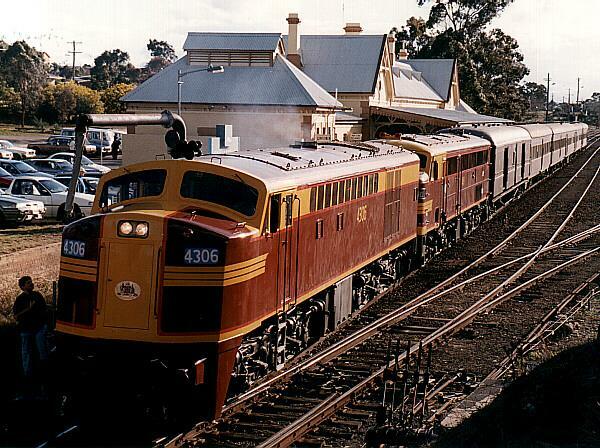 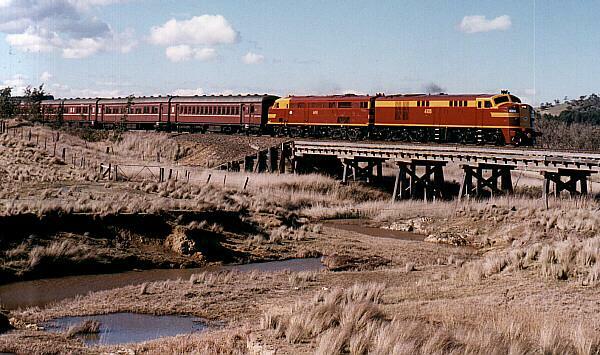 The 43 class was built by Australian Electrical Industries at Broadmeadow, NSW. 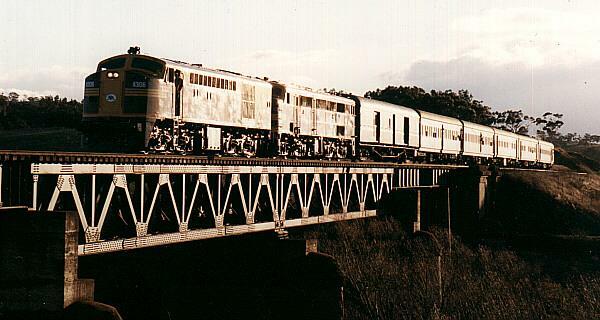 The first unit was in service on September 26th, 1956. 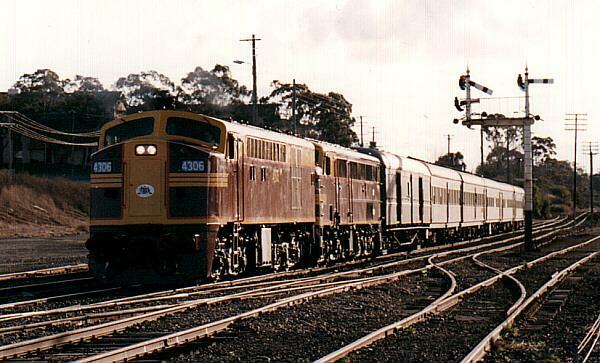 There were 6 units in the class, numbered 4301-4306. 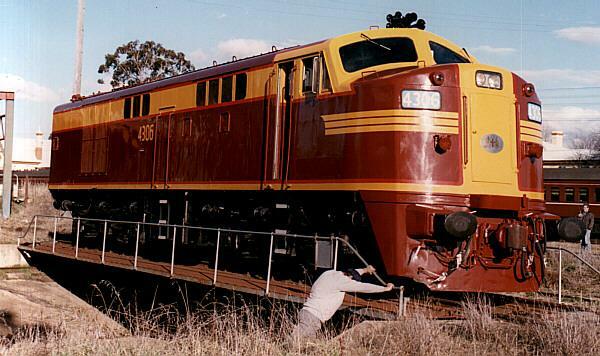 They have a V12 turbo-supercharged 4 stroke Alco 244 engine. 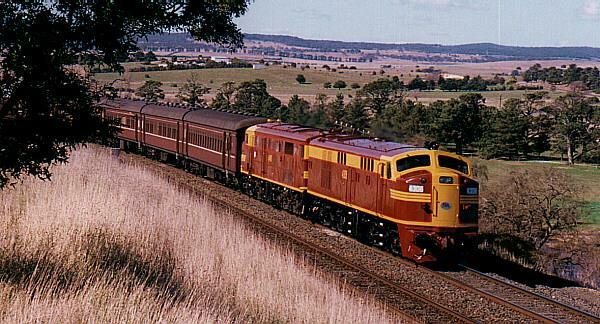 They weigh 107.6 tonnes and have 1600 HP available for traction.